Wonderful 4 bedroom, 2 bathroom house in FishHawk Ranch! Walking distance to FishHawk Creek Elementary school! This cute as a button home is situated on a desirable conservation lot! NEW AC in 2016! The open floor plan welcomes you in with rich flooring, expansive family room and plenty of space to entertain guests! The kitchen has been wonderfully updated with pretty countertops, diagonal tile backsplash and stainless steel appliances! Open to the kitchen is a wonderful dining area with bay windows overlooking the conservation views. Need more space to entertain!? The enclosed lanai is the perfect spot. Finished in 2016, this area boasts tranquil conservation views and will be one of your favorite spots in the house to kick back and relax. Master bedroom is on the first floor and offers vaulted Tray ceiling and attached bathroom, you will love calling this retreat home! Upstairs you’ll find three more spacious bedrooms and a full bath. 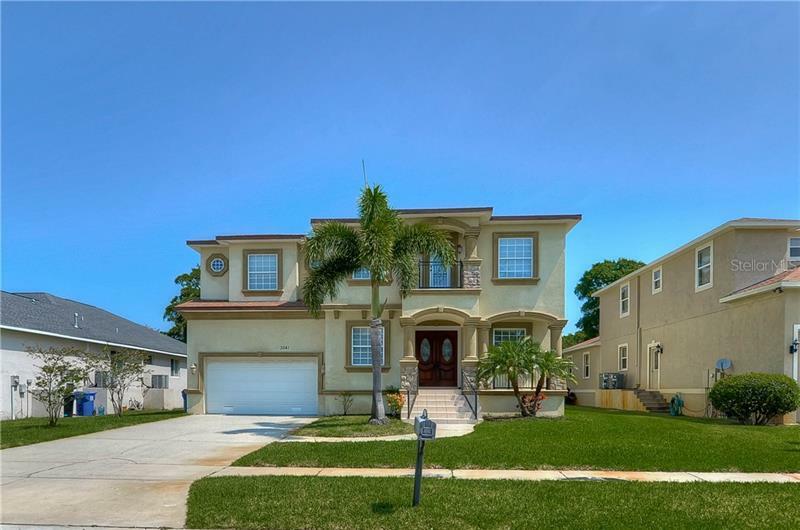 This home is zoned for some of the best schools in Hillsborough County and boasts a quick commute to I-75, Tampa, MacDill AFB and more! Wait until you see all the amenities that this community has to offer! Resort style Aquatic Center, playgrounds, community pools, private gym, tennis courts, 25 miles of walking/biking trails, restaurants & much more! Come take a look today, this one is a winner!